This morning, Acting U.S. Commerce Secretary Rebecca Blank delivered remarks to the U.S.-India Business Council in Washington, DC as part of their 37th Anniversary Leadership Summit, in advance of the U.S.-India Strategic Dialogue. Within the next 20 years, it is estimated that India will become the most populous country in the world, and total yearly income of Indian urban households could reach four trillion U.S. dollars. With their middle class growing bigger each day, India is poised to continue playing a major role in the global economy. Acting Secretary Blank spoke to the Council about these important economic opportunities and the ways that the United States and India can work together to strengthen their economic relationship. 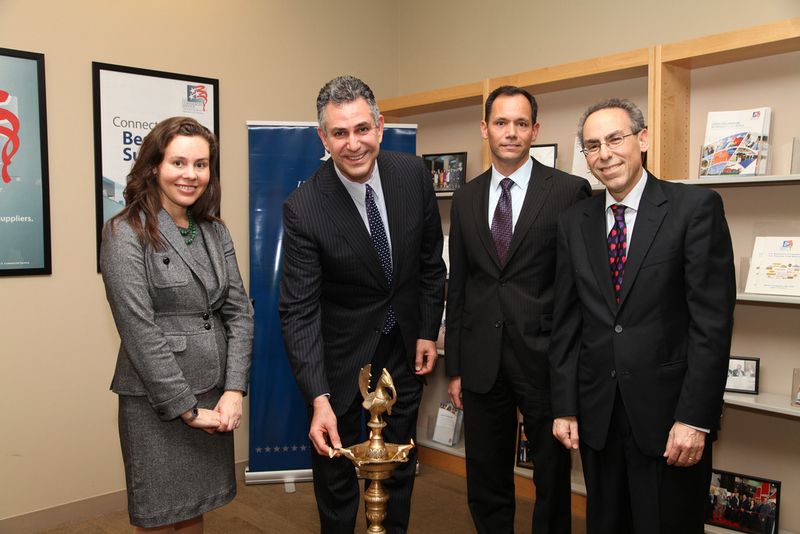 First, Blank praised the success of the U.S.-India trade relationship. From 2009 to 2011, U.S. goods exported to India grew over 30 percent to a record $21.6 billion. 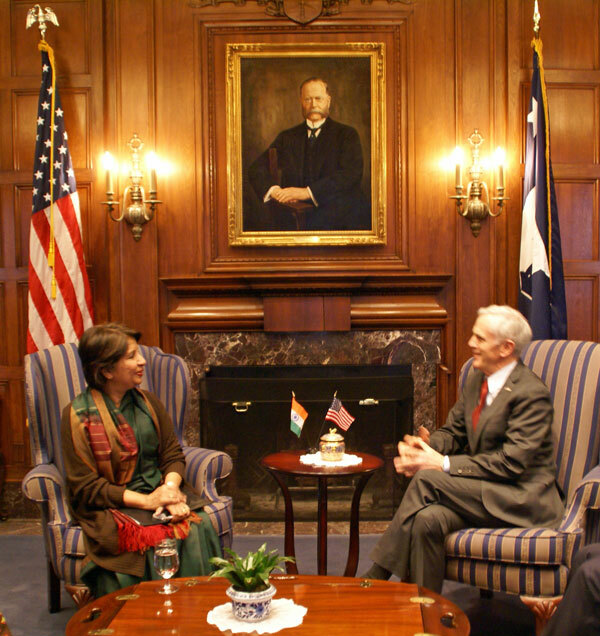 U.S. Commerce Secretary John Bryson met with India’s Ambassador to the United States Nirupama Rao to discuss U.S.-India relations and Secretary Bryson’s upcoming trade mission to India in March. This was the first meeting between Secretary Bryson and Ambassador Rao, who assumed her current responsibilities in September 2011. Secretary Bryson and Ambassador Rao also discussed the Department of Commerce’s extensive partnerships with the Government of India through the Bureau of Industry and Security, the International Trade Administration, the National Institute of Standards and Technology, and the National Oceanic and Atmospheric Administration. Bryson plans to lead a delegation of up to 25 U.S. senior executives on an infrastructure trade mission to New Delhi, Jaipur, and Mumbai in March, which will focus on project management and engineering services, transportation, and energy. India is seeking to invest $1 trillion in its infrastructure over the next five years and is looking for private sector participation to fund half of this expansion through the Public-Private Partnership (PPP) model. The United States Trade and Development Agency (USTDA), the Export-Import Bank of the United States (Ex-Im), and the Overseas Private Investment Corporation (OPIC) have been invited to join the mission. 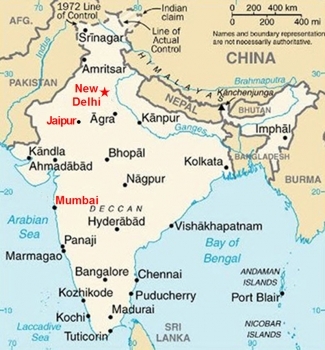 U.S. exports to India through November 2011 totaled $19.7 billion, an increase of 11.5 percent year to date from 2010. India ranks as the United States’ 17th largest export market. India has a bright future in solar energy. Its renewable energy market is currently valued at $17 billion dollars, and is growing at an annual rate of 15 percent. And remarkably, there is potential for even bigger things. According to one estimate, to keep economic growth at current levels, India will need to add 150 gigawatts of capacity over the next five years. Clearly, there is both a market and a need for clean energy in India. And, U.S. companies have the technology and products to meet these needs and help spur economic development. That’s why, yesterday, during my keynote speech at SOLARCON India 2011, I urged all parties to consider new partnerships with each other so that we can build a clean future together. Hosted in the city of Hyderabad, the trade event brought together a wide-range of business leaders, academics and government officials to exchange ideas about the clean energy sector. Although estimates about the attendance are unavailable at this time, just last year, it drew over 4,000 people from over 30 countries. This year, there was incredible energy and excitement in the air. For U.S. firms, India’s solar market represents a huge opportunity to get involved in a booming sector in a growing market, resulting in thousands, if not millions, of jobs for people in both countries. 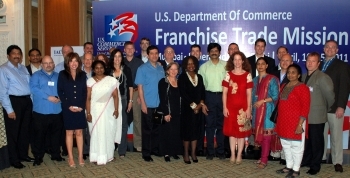 Fifteen globally recognized U.S. companies introduced their products and services to three of India’s major metropolitan markets during the Department of Commerce’s first-ever franchising trade mission to India. Assistant Secretary of Commerce for Manufacturing and Services Nicole Y. Lamb-Hale led the mission which included stops in Mumbai, Hyderabad, and New Delhi, April 10-15. Among other stops, Lamb-Hale and the U.S. delegation visited a California Pizza Kitchen in Mumbai to highlight the success of current American brands in India. She also celebrated the opening of the 200th Subway® franchise in India. Mission participants completed more than 300 individual meetings with prospective investors, and public and private sector officials to explore the environment for their franchises. The franchise market in India has the potential to grow to $20 billion by 2020. 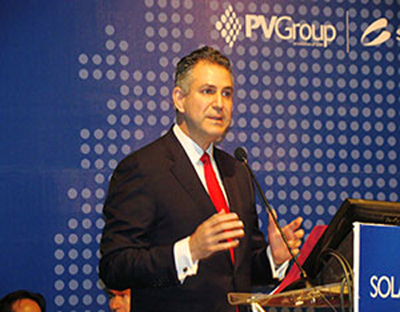 Franchising in India is growing at an impressive rate of approximately 30 percent per year. Presently, there are 1,200 franchisors in India, of which 25 percent are of international origin, with U.S. companies the most prevalent. Learn more about the franchising trade mission to India. After the final day in Mumbai, Secretary Locke and delegates from the 24 U.S. businesses who travelled to India on the six-day high-tech trade mission to India wrapped up their business. On Friday morning, Secretary Locke met with the executive committee of the U.S- India Importers’ Council, an initiative developed to support Indian companies that import goods and services from the United States. The mission of this Council is to advance President Obama’s National Export Initiative, and to support the efforts of Indian companies that import products from the U.S.
Locke then visited Mumbai’s legendary Dabbawala Association organization to learn about their unique logistics operation that delivers home-cooked food to hundreds of thousands of people daily. Association president Raghunath Medge provided Locke with an overview of the organization’s labeling and sorting methodology and the dispatch process. Dabbawala’s lunch delivery service has been cited as a model of entrepreneurship and supply chain management at the grass-roots level. In the afternoon, Locke engaged in multiple bilateral meetings with Indian officials. 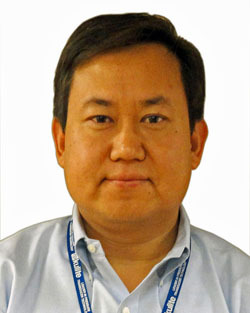 Guest blog post by Dr. Tonghuo Shang, Vice President, Technology Development and Asia Operations at Kulite Semiconductor Products, Inc.
Ed Note: Kulite is the world leader in pressure transducer technology, serving several high technology industries such as Aerospace, Flight Test, Automotive, Motor Sports and Industrial Processes. Today I just concluded my portion of the journey with the India High Tech Mission. While I regret that I won’t be traveling to Mumbai with fellow delegates, the fact that most Kulite customers are in the Bangalore area necessitates that I stay here and meet them individually. This trip is a memorable experience for me, in what Kulite has achieved, as well as in the friendships with other delegation members. At the start of the mission Secretary Locke asked delegates to evaluate the mission, and to identify the factors that made it a success. 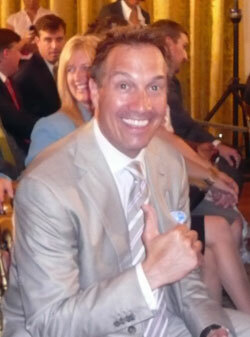 I think the most important factor is the elevated profile that a government delegation brings. With Secretary Locke we were able to listen to several key Indian Ministers and hear their ambitious plans for India, and their upbeat economic outlook. 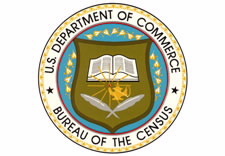 The US Commercial Service, being a government entity, is also a valuable and effective resource. 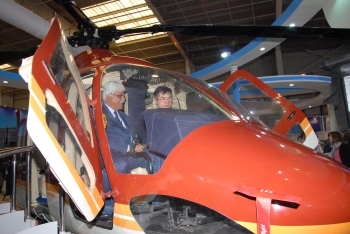 Case in point - on Tuesday, the delegation met with the General Managers of Hindustan Aeronautics Limited. After listening to their presentation I requested a follow-on meeting with one of the HAL divisions. The in-country staff located the contact point and developed a meeting plan within two hours! This mission brings tangible benefits to Kulite. I am able to evaluate the market potential in a very short amount of time, and sees clear business growth in the next two years. I would like to thank the entire DoC team for their tireless effort putting this together. The seamless planning and personal attention to each company is remarkable. Trade missions like this are highly recommended, especially for small and mid-sized companies when resources are limited. Good luck to my fellow delegates in Mumbai. Kent Displays: Trade Mission to India Working for Companies of All Sizes! Guest blog post by Dr. Albert Green, CEO of Kent Displays. Ed note: Founded in 1993, Kent Displays, Inc. is a world leader in the research, development and manufacture of Reflex™ No Power LCDs for unique, sustainable applications including electronic skins, writing tablets, smartcards and eReaders. Improv Electronics was formed in 2010 as the consumer products subsidiary of Kent Displays. 2010 sales of its first product, the Boogie Board™ LCD Writing Tablet, exceeded forecast by 10 times. Its paperless LCD technology represents a significant opportunity to reduce global paper consumption for everyday tasks such as memos, reminders, to do lists, sketching and other writing and drawing activities. Kent Displays is honored to be a representative on this trade mission to India. It’s only a few days into the mission, and the benefits of participating are already immeasurable. 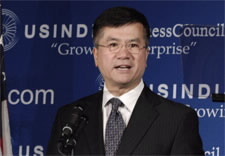 I cannot begin to express my gratitude to the U.S. Commerce Department and Secretary Gary Locke for organizing the trip and selecting Kent Displays for the business delegation. Going into the trade mission, Kent Displays had limited focus on the India market. We considered a greater focus in the past, but decided that the upfront exploratory effort to “get the ball rolling in India” would require a commitment beyond our available resources. By participating in the mission, we hope to gain a better understanding of its business, government and consumer dynamics. We also expect to establish relationships with business and government leaders that would help identify immediate and future business opportunities. In the final analysis, this mission is the impetus for convincing us that now is the time to explore business possibilities in India. Today Secretary Locke flew to Bangalore for the second stop of his high-technology business development trade mission to India. Locke’s first stop on his visit was Hindustan Aeronautics Ltd.’s (HAL) facilities. HAL is one of Asia’s largest aerospace companies, employing approximately 34,000 people with roughly $2 billion in annual revenue. The company has partnered with leading U.S. aerospace manufacturers – Boeing, Honeywell, and Lockheed Martin – on several projects. The U.S export content value for HAL is $40 to $50 million dollars annually with hundreds of millions in future export opportunities. Today, Secretary Locke kicked off a high-technology trade mission in New Delhi to promote exports of leading U.S. technologies and services related to civil nuclear energy, civil aviation, defense and homeland security, and information and communications technology. The mission will continue through February 11, and also make stops in Bangalore and Mumbai. His first stop was at a neighborhood grocery store in New Delhi that is using technology developed by a U.S. company to market its products, manage its customers and organize its business operations. Intuit, based in Mountain View, Calif., created “GoConnect,” a new innovative mobile and web-based marketing service that is helping Indian micro and small businesses grow and improve the way they communicate with their customers. Intuit’s new application was first announced during the President Obama’s visit to India. "Intuit's GoConnect technology is a prime example of the kind of mutually beneficial trade that creates jobs in both countries, creating opportunities from the Intuit offices in Northern California to a neighborhood grocery store in the streets of New Delhi," said Secretary Locke. "We look forward to finding more commercial opportunities like these during this trade mission." 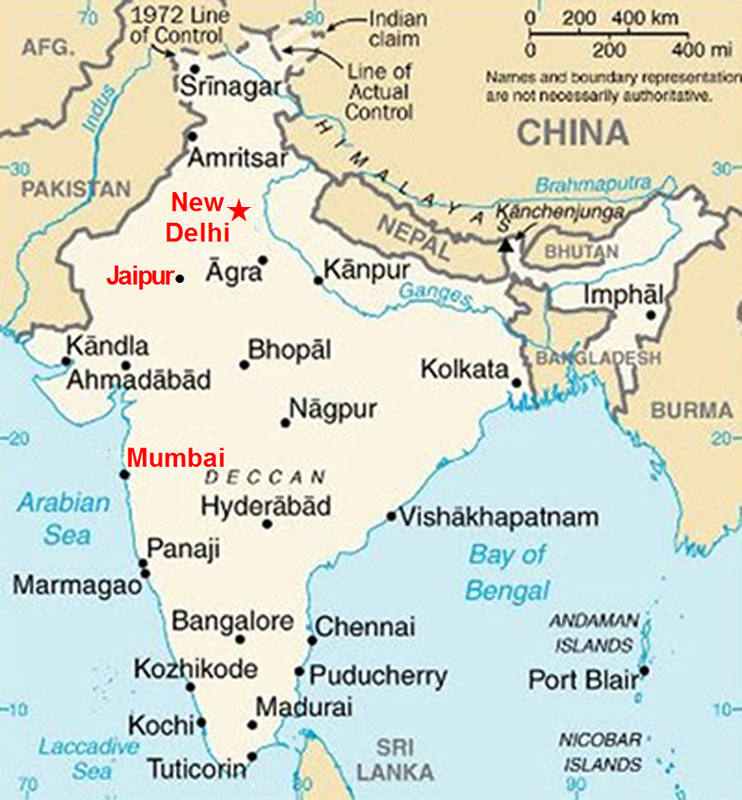 GoConnect was developed in both India and the U.S. The data is hosted in Intuit's data center in Quincy, Washington. 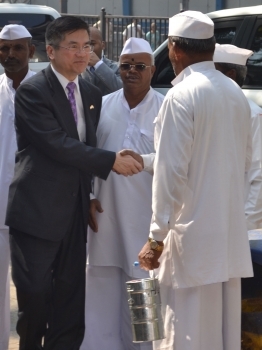 Earlier today, Secretary Locke landed in India at the start of a high-tech trade mission. 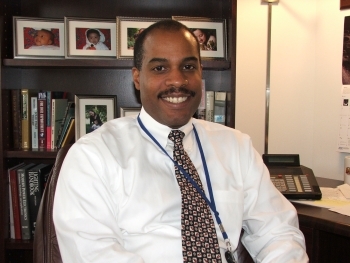 He wrote an opinion editorial for The Times of India explaining the importance of trade to the economic growth of India and the United States. Read the rest of "Opening the Door to India" and find out more about the high-tech trade mission.